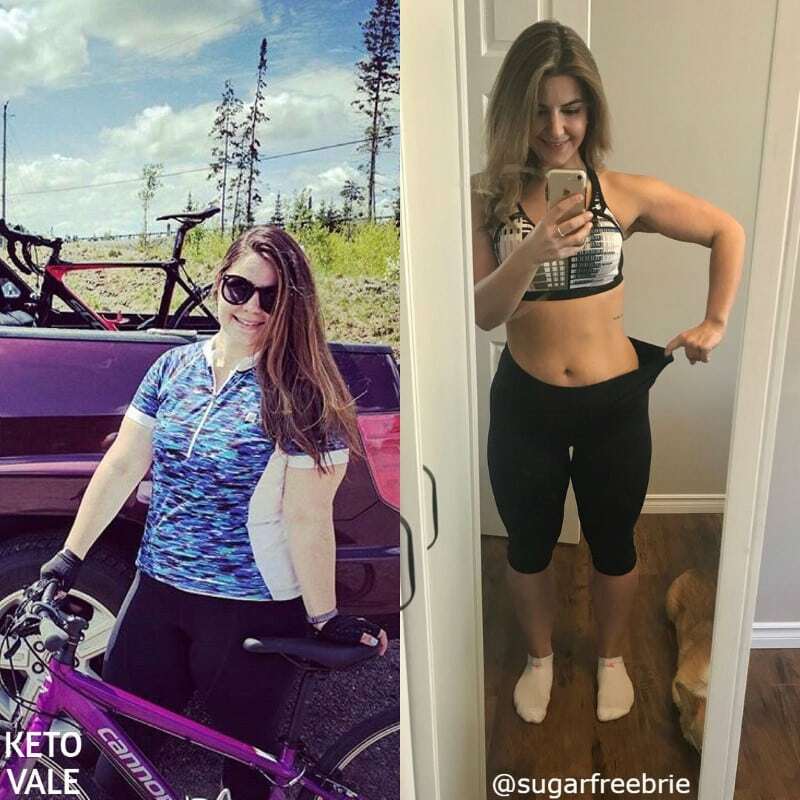 Today we are super excited to share with you an amazing keto success story from Brianna Simeoni aka Sugar Free Brie. Brianna has lost 76 pounds and over 20 inches and transformed her life thanks to keto. 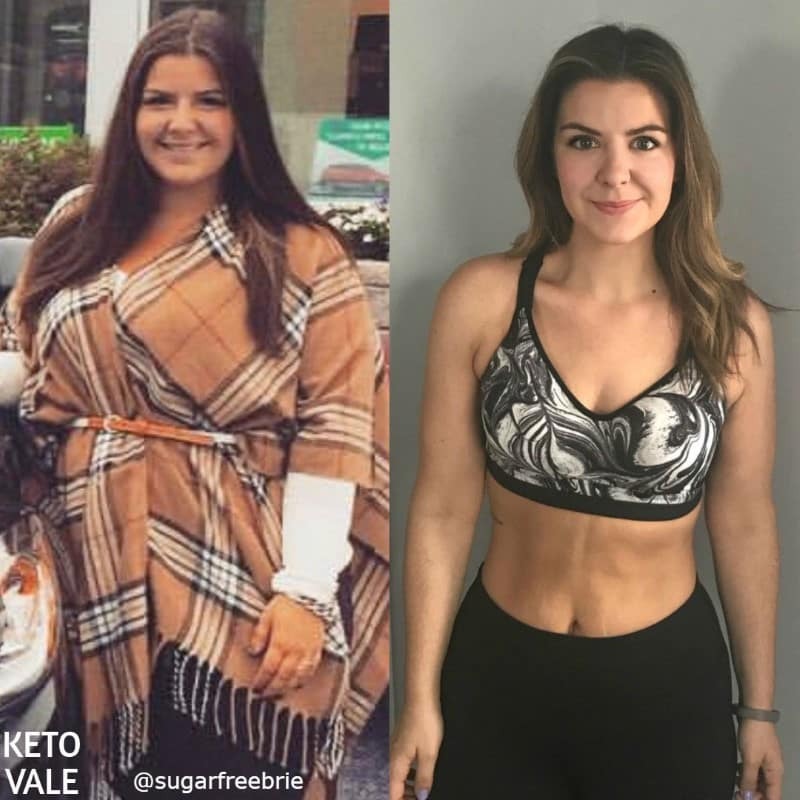 In this article, you will learn her story, tips and her favorite meals on keto so you can follow and achieve success. 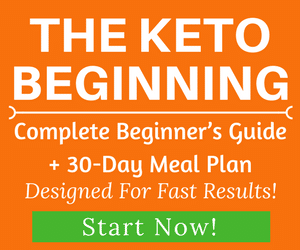 If you’re new to the keto diet, feel free to read our guide and meal plan to get started. I’m a 28-year-old, Northern Ontario girl who works for one of the biggest mining companies worldwide in the Project Management Office. Prior to me working in the Project Management Office, I worked in sales, which meant I was on my feet for eight to nine hours a day. When I switched to my current job, I was now sitting for almost the same amount of time during the day. I was never at a healthy weight prior to my life, however with this professional change, my body suffered. I gained approximately 30 pounds in just over a year. I had finally reached my breaking point in December of 2016 and decided to make a change for the better. On January 1st, 2017, I promised myself to become a healthier and better version of the person I had become. I had dieted before but nothing ever stuck. I gained the weight back and then some. This time around was different. I researched and educated myself about health, nutrition, and having a balanced lifestyle. This is when I first read about Keto. I learned about the types of foods I could eat and knew that this was the way of life for me. Making meals became a lot easier once I started learning what I could and could not eat and the concept of net carbs. The misconception that “diet” means only vegetables and salads is why some people fail, in my opinion. My training became a natural progression. I started with cardio as it was what I was comfortable with. As soon as the weight started coming off, my confidence grew and I started exploring advanced weightlifting classes like Spin and Pump, which helped my weight loss even more. With the combination of activity and healthy/ balanced eating practices, I have lost 76 pounds and over 20 inches! Keto has given me so much in my life. I feel healthier in my mental, emotional, and physical capacities. For most of my life, I was overweight which affected me in all of the mentioned capacities. I had low self- esteem which brought on emotional eating and very limited physical activities. 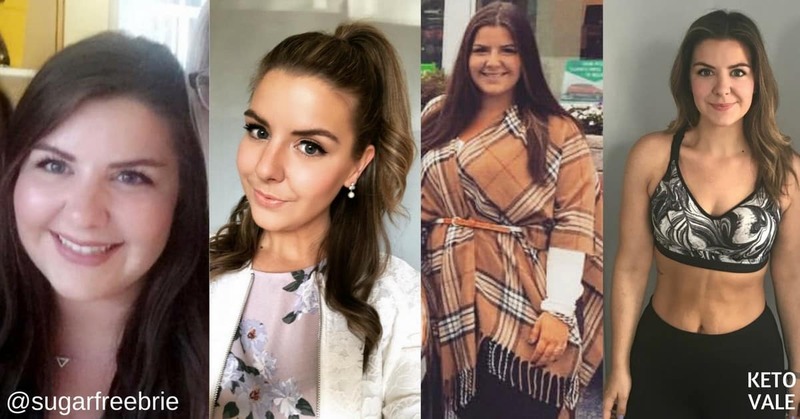 With Keto, the weight naturally started coming off, which physically was gratifying but it brought along positive changes in my mental state and with my emotional well- being. Although I fully believe in the capabilities of Keto and the wonders that it does for the body, I do allow myself every once in a while to non- Keto treats like a glass of wine or small piece of cake at celebrations. I fully believe that a balanced lifestyle leads to a lifetime commitment to a healthy way of living. I made sure that I had Keto meals planned out for at least a few days. Luckily, I enjoy almost all meats/ fish, so planning my meals based on that was no challenging. However, when I was used to a potato or pasta as a side dish, I knew I needed to adjust my plan. 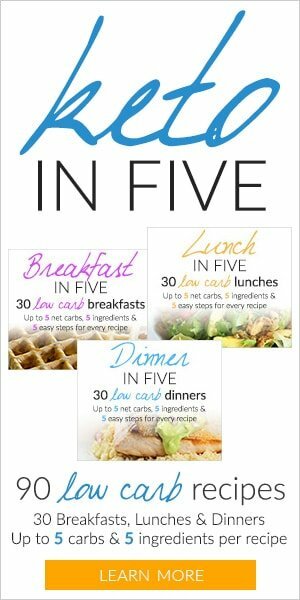 Pinterest was a great resource for Keto friendly recipes and something I still use today for ideas. Going out for dinner was also something my significant other and I used to enjoy doing on almost a weekly basis. At the beginning of my Keto journey in order for me to get a solid and fresh start, we held off on going out to restaurants for the first few weeks. 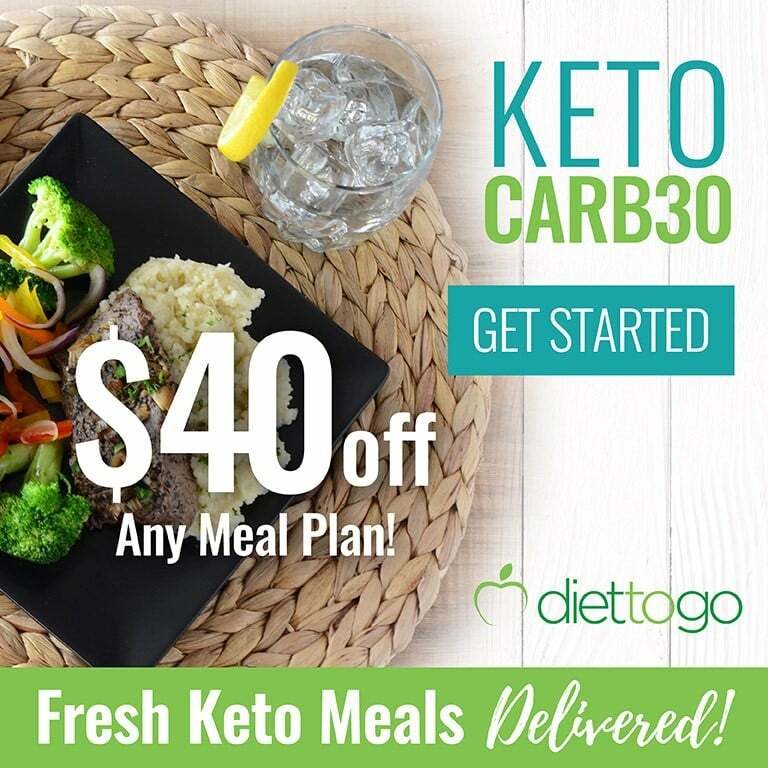 Now knowing how many Keto friendly options are out there at restaurants this is something we do monthly instead as a treat. In order to keep myself accountable, I still count and track macros. I use My Fitness Pal which allows me to enter in my meals and track macros through each day. I use a digital scale to weigh out food which helps with portion control. Rather than meal prepping, which I know many people swear by, I prefer “Measure Prepping” as I like my meals cooked fresh. I’ve designated my Sundays to prep most of my frequent ingredients in small containers, Ziplocs, etc. to save me a time when freshly preparing my meals. I will weigh out items like; broccoli, cauliflower, different cheeses, deli meats, etc… in order to just grab and go. I try to hit the gym 4-5 times a week; 2 days a week will be dedicated to weightlifting, whether it be a designated class or circuit training, with light cardio to warm up. 2-3 days a week are designated to cardio. I prefer HIIT (high-intensity interval training) for reasons such as increased metabolism, higher calorie burn post workout, and it can be done anywhere without equipment. Yes! This is a question I am frequently asked and I know how frustrating it can be to break a plateau. 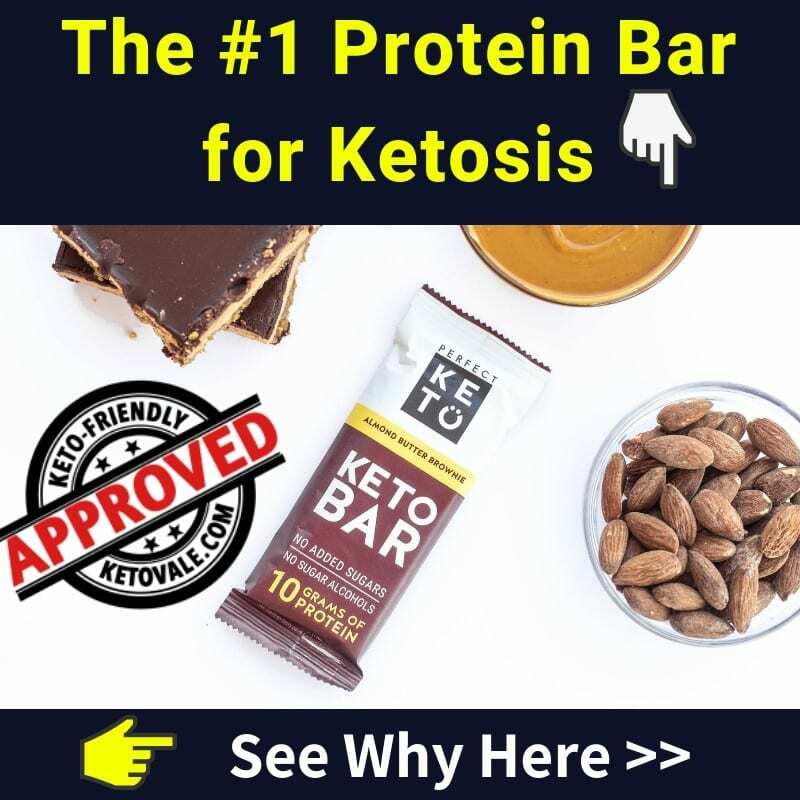 I listened to one of my favorite podcasts when I was a few months into Keto called “Primal Potential” and one of the episodes mentioned “if you snack it, track it”, which essentially means, anything that is consumed should be tracked. For me, when I’m cooking dinners, I tend to nibble on cheese, or veggies as I’m cooking which I wouldn’t always track. Once I heard that advice, the snacking and tracking method became strict. I also re-evaluated my protein and sugar alcohol intake. I was often snacking or treating myself to “sugar-free” items that used sweeteners. I slowed down on sweeteners and noticed that the last 5 lbs slowly came off. I also re-adjusted my protein intake. I’ve read many articles about how protein can occasionally turn into glucose if consumed in excess. I really watched my protein intake and ensured I was always staying within my set macros. I firmly believe that I was ready to change when I started this way of life. I was no longer comfortable in my own skin and that did not sit well with me. I’ve always been the girl who loves clothes and fashion, so when I went shopping and I wasn’t able to just walk into any store and have the option to choose an outfit, it became very disheartening. The weight loss with Keto allowed me to gain a lot of confidence which made me finally believe that I can do anything I set my mind to. I wanted to become a healthier and happier version of myself and I feel as though I have accomplished that. I’ve never felt more like myself than I do now. Most of my meals consist of a main which is protein, with veggies on the side. My favorite options for protein are; chicken, steak, pork, beef, and occasionally fish (salmon, tilapia). As for vegetables, I love cauliflower, broccoli, radishes, Brussel sprouts, mushrooms, and bell peppers. I am also a HUGE cheese lover. If I can have cheese with every meal, I will. It adds a healthy dose of protein and fat to my meals. My favorite types of cheese are; asiago, brie, and gorgonzola. They are great additions to any vegetable sides. Charcuterie Board – my favorite quick and easy go- to. It consists of deli meats (salami, prosciutto, turkey breast) with olives, Parmesan Whisps, pork rinds, assorted cheese, and low carb dips (baba ghanoush, hummus, etc…). The plate is usually under 3g net carbs. Chicken Crust Pizza – my solution when I’m craving pizza! I made my own twist from the idea found at Keto Connect. There are only 4g net carbs for the whole pizza which is awesome. The crust consists of 2 cans of canned chicken, Parmesan, egg, garlic, and spices. Simply bake it at 500° for 8-10 min then remove and add your favorite topping such as meats, cheese, tomato sauce, and veggies, then bake again for another 5-10 min. It’s so filling and makes great leftovers for lunch. Steak with Garlic Mashed Cauliflower – my absolute favorite when I’m craving something hearty. I marinate steak with olive oil, minced garlic, and Montreal steak spice. It’s best to prepare for a few hours prior to grilling to make it tender and flavorful. Making mashed cauliflower as an accompaniment is a no-brainer because cauliflower is a great alternative to potatoes. My recipe is to mash steamed cauliflower with garlic, onion, butter, and cheese. It is a delicious side to any keto meal. Dinner: Sirloin Beef Burger (toppings include garlic mayo, tomato, cheddar cheese, sautéed mushrooms, and onion), accompanied with parmesan coated zucchini fries. 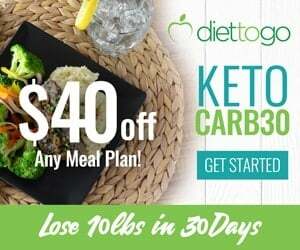 I read a lot of articles and great resources online from keto blogs. I also loved listening to podcasts such as “Primal Potential” with Elizabeth Benton or “The Keto Diet Podcast” with Leanne Vogel. I also watched numerous documentaries that touched on healthy eating such as; “The Magic Pill”, “Sugar Coated”, and “Fat, Sick and Nearly Dead”. All were very informative and provided me with further insight into keto and healthy eating practices. Keto works for me because I love the foods I eat and I never feel deprived. I thoroughly believe in the science behind keto and the way it has transformed me physically and mentally. Even if there is a day when I feel like indulging in non- Keto items, I know that I can get right back into it the next day. Always hold yourself accountable and persevere even when things get challenging! These are the three main pieces of advice I always tell people when they ask for advice about getting started with Keto. 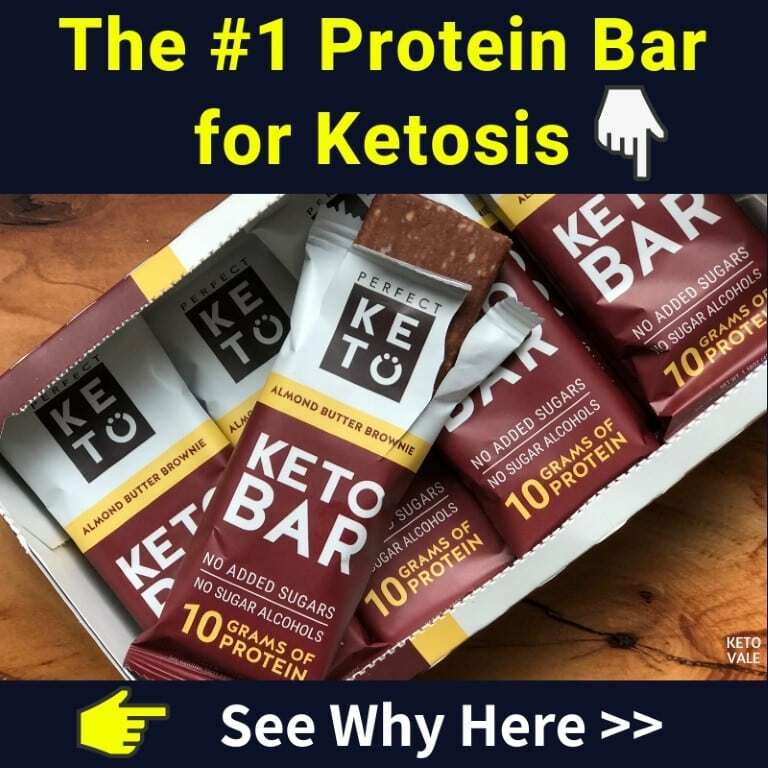 #1 – Education: Making sure educate yourself about the keto journey you’re about to embark on. It’s very important to know what you can and cannot eat as well as the nutritional value of the foods you’re eating and how it reacts to your body. Learning about other people’s mistakes and reading new ideas can help to shape your path forward. Understanding the science of ketosis and learn about other people’s journeys is also as vital to your lifestyle as what you physically eat. #2 – Tracking: Tracking keeps me accountable. To help me stay within my macros, I track my food throughout the day and adjust accordingly. To avoid over-consumption and for a better accurate analysis, I measure all my food. It helps if I need to dissect where my weight loss stall may come from. Keeping track of my physical activities is also as important as food tracking. My personal choice for an activity tracker is Fitbit. If I haven’t moved enough within the hour, it reminds me i and keeps me from being inactive for too long. Despite of being restricted by a desk for the majority of the day, I still try to stay active throughout the day. #3 – Don’t Give Up: Just keep going is my biggest piece of advice! I surpassed my first goal of 50 lbs lost within 7 months and kept going not realizing that I could achieve even more than I put my mind to initially. I never thought I would get to this point in the beginning. If you face a setback, get back up on the next meal or the next day. One mistake is not going to determine the fate of your lifestyle change unless you let it. Stay strong, stay committed, and you will see results! 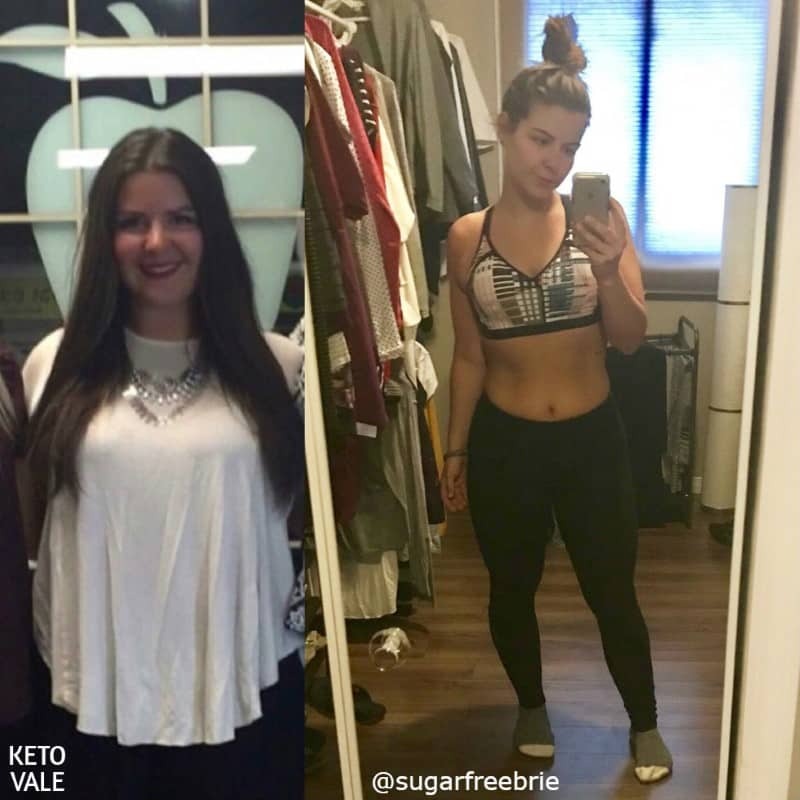 We’d like to thank Brianna so much for sharing with us her story and incredible keto tips and advice. Be sure to follow her on Instagram @sugarfreebrie for her daily meals, tips and inspiration from her!